At a time of innovation and increasing traction in IoT, the recent acquisition of S3 Semiconductors by Adesto Technologies serves as a reminder of the inherent links between innovation, complex product development, and technology. Pioneering and leading technology names across the globe are merging in order to complement each other's resources and expertise, in the hope of disrupting the Internet of Things (IoT) and the Internet of Everything (IoE) landscapes. S3 Semiconductors joins a long list of our customers to make a successful exit, and while we won’t pretend to be anything more than a tiny part of their success, Cognidox lean DMS is a common denominator across all these companies. We originally wrote Doxbox (the forerunner of Cognidox) while at Virata as an in-house DMS to deliver documents from engineering to marketing. However, growing customer needs and the scaling of the organisation meant Doxbox developed rapidly, becoming the repository and collaboration tool for the entire organisation. This played a major part in Virata’s growth and success, which culminated in its sale to Globespan, Inc for $1.3 billion and ultimately led to the formation of Cognidox. In 2016, I was CFO of m2fx when it was acquired by New York based PPC (a part of Belden, Inc). The acquisition saw m2fx’s product range complement PPC in telecommunications areas such as fibre cabling and FTTP technologies. The $2.4 billion acquisition in 2015 expanded product lines and channels to accelerate growth in Internet of Everything and automotive segments. The merger came as a response “to satisfy the growing consumer desire for more seamlessly connected devices in ‘smart’ homes, offices and cars” according to Steve Mollenkopf, CEO, Qualcomm Incorporated. Samsung Electronics Co bought chipmaker CSR Plc’s mobile phone connectivity and location technology for $310 million in the summer of 2012. The deal effectively added more capability to Samsung’s platforms and tablets. Maker of 60 Ghz Wireless Chips for VR/AR Nitero Team were acquired by AMD last year, in a bid to strengthen AMD’s strategic investment into VR (Virtual Reality) and AR (Augmented Reality). In July of 2009, Velocix were acquired by Alcatel-Lucent, a leading global provider of Content Delivery Network (CDN). The wealth of experience and expertise that Velocix brings to Alcatel-Lucent complements its existing technology and business initiatives. In early 2012, Mindspeed bought Picochip for a sum of $75 million, Picochip came with a long line of strategic investors and the acquisition meant Minespeed was able to enhance its product roadmap and capitalise on the rapid acceleration of the small cell base station market. Two years later, Mindspeed Technologies would be acquired by tech giant Intel in a deal that made important contributions to how Intel Architecture-based solutions are transforming wireless access within mobile network infrastructure. US technology giant Qualcomm acquired Cambridge company Nujira, in a $50 million deal. Nujira specialises in envelope tracking technology, while Qualcomm became the first company to ship a chip with such technology, so the acquisition was a step up for the technology strategy of both companies. 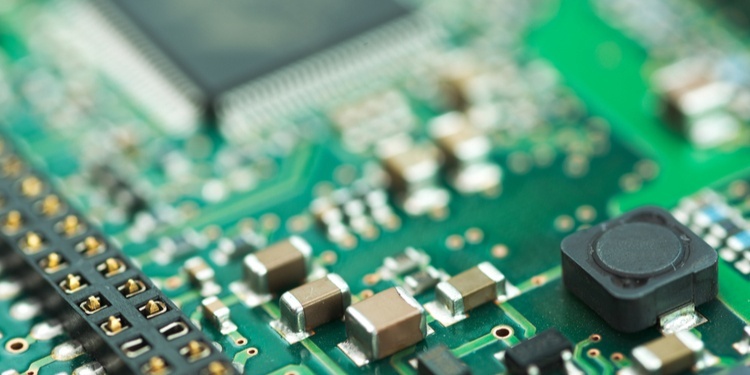 ROHM Semiconductor acquired Powervation back in 2005, for approximately $70 million. Powervation had established itself as a leading innovator in digital power controllers serving high-performance Computing, Cloud and Communications infrastructure markets. The combination of the companies was intended to develop industry-leading, integrated digital power. Congratulations are in order for each of these pioneering businesses. No M&A is easy, and we like to think that the structure and control brought by Cognidox made the entire process less complex, more efficient and painless. A tool like Cognidox which acts as a common central repository underpins the entire transition for both companies. It enables discovery due diligence and helps to identify IP that may need to be protected during a merger, split, or acquisition. The security of the DMS is invaluable during stages of uncertainty but also helps demonstrate that secure, structured processes are in place. We are looking forward to seeing which additions to the list we will see in the coming years. If you wish to speak with us about how Cognidox can contribute to the success of your high tech product development company, contact us today.